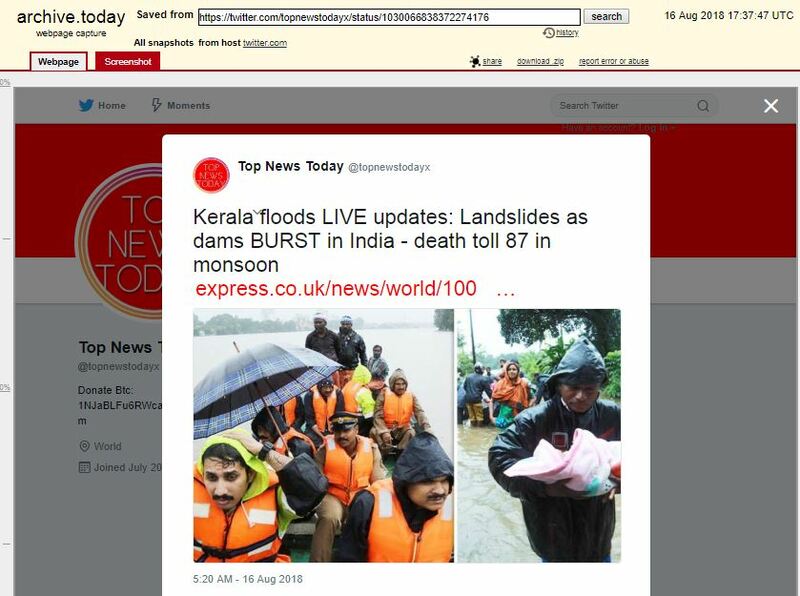 As Kerala battles the flood crisis over the past week, fake messages do more damage and create panic. The Kerala government already on the back foot trying to battle a massive crisis due to relentless rain and flooding over the past week now have one more big worry – fake news led by incorrect reporting and rumours. 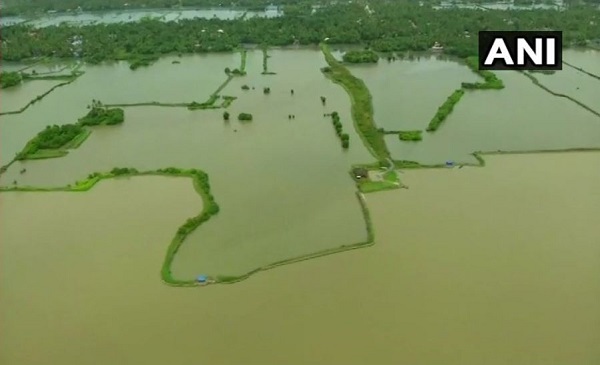 The floods have already resulted in the deaths of 324 people in the past 17 days with thousands of people stranded across the state on rooftops and relief camps. Amidst the crisis, fake messages are doing more damage and creating panic among people who have been at the edge for more than a week. BOOM received several such messages on its helpline and through crowd-sourcing. Worst of all is an audio clip in which a person is heard saying that the Mullaperiyar dam has developed cracks and in the next three hours, the downstream districts of Idukki, Ernakulam, Thrissur and Allapuzha will be washed away. He urges people to take it seriously as the government is hiding the information about the leak and that he got to know of it from a friend who works in Modi’s office. (We have not uploaded the audio clip in the story to prevent further panic). Having taken note of this clip and related messages on social media, the Kerala government has warned strict action against rumour mongers. The state has already directed the Cyber cell to find the source of such messages. Please stop rumour mongering in this unprecedented crisis. In a letter to the Director General of Police (DGP) Loknath Behara, the Secretary to Kerala Government (Water resource department) said, “Rumours are being spread in social media like whatsapp, facebook etc. that the Mullaperiyar Dam has developed some cracks. This rumour is completely baseless and the Dam has not developed any cracks as alleged. These rumours are creating unnecessary panic among people living in the downstreams in the Periyar catchment. The Cyber Cell is directed to trace the source of these rumours and take immediate action against the rumour mongers’. There are also several posts on social media anticipating the dam to burst. What will happen to Kerala and South India if Mullaperiyar Dam breaks? Mullaperiyar Dam Water Lvl Crossed 141FT ! If It Cross Abv 142+ FT The Dam Will Be Damaged ,Then The Surrounding Districts Will Become History ! Whole Kochi Will Be Under water forever !! KL Govt Asked To Decrease The Water Storage In The Dam! 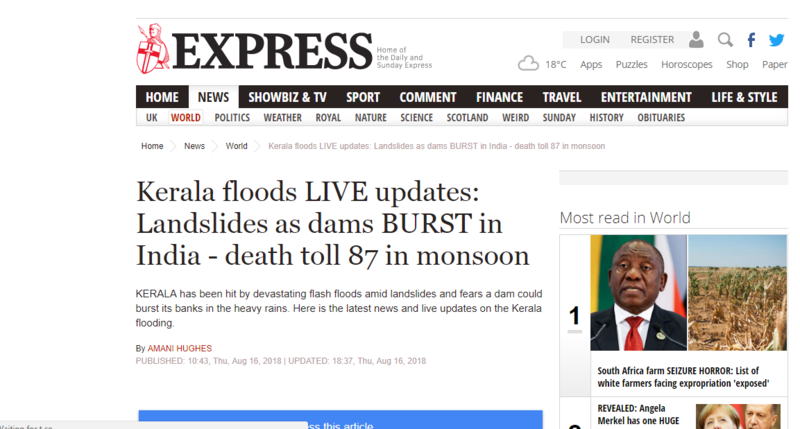 BOOM also found an article by a site ‘express.co.uk’ with a misleading headline, ‘Kerala flood live updates: Landslides as dam BURST in India – death toll 87 in monsoon’ published on Thursday. Click here for the archived link. These messages are creating further panic as people living in the downstream were already living under constant fear of floods. Rains had intensified in the past week and the flow of the Periyar river multiplied as the shutters of Idukki and Mullaperiyar dams were opened. The 132-year old Mullaperiyar dam, operated by Tamil Nadu, had reached 142 feet – the maximum reservoir level as permitted by the Supreme Court. The Supreme Court in an immediate hearing on Thursday asked the states to coordinate with each other to bring the water level down to 139 feet and to prevent the ‘disaster of floods in Kerala’ from becoming a catastrophe. The apex court was hearing a petition filed by Russel Joy, a resident of the Periyar catchment area, on the risks due to rising water level in the British era dam and the lack of coordination between the state governments. 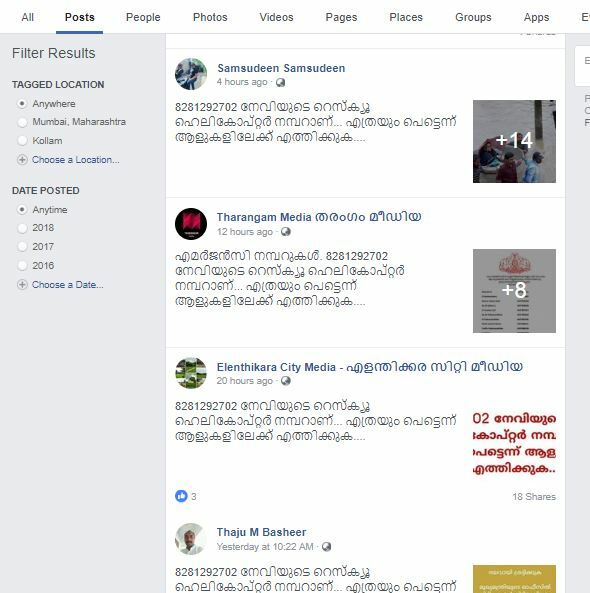 Yet another audio message was going around claiming that the shutters of Cheerakuzhi dam built across Gayatri river (also know as Bharathpuzha) in Thrissur are damaged. However, regional media Manorama News and Deshabhimani clarified that it is not true and this exaggerated message is meant to create a scare. Heard a news that a shutter of Cheerakuzhy dam, Thrissur broke. Can someone pls confirm this news. Yet to find any reference in MSM. Water was overflowing from the dam but all the shutters were not damaged. Only one of the shutters that divert the water to the canal was damaged. During trying times an exaggerated claim can create much panic than intended. Another message which has created quite a scare is that the whole state will have no electricity tomorrow as the Kerala State Electricity Board (KSEB) will shut down its operations. This is the last thing that people would want to happen as it will cut their contact with the outside world and make it difficult for them to call for help if stranded. However, KSEB and Kerala Police were quick to respond and call the message fake. KSEB clarified through a Facebook post that KSEB employees are engaged in relentless efforts to restore electricity in the areas facing power cuts. To avoid danger during floods, power supply and production in certain parts have been temporarily discontinued. However, as the water recedes the power supply will be restored. The electricity board also appealed to people to not spread these rumours. A cell number 8281292702 is being shared as that of the Navy’s rescue helicopter in various social media platforms. Following is a message in Malayalam on WhatsApp urging people to share the number with others. BOOM spoke to Captain D K Sharma, Spokesperson and PRO of Navy, who called all such numbers fake. He said that Navy’s rescue operation in Kerala is through the Kerala State Disaster Management Authority and they do not take direct calls or requests. However, the number is being widely shared on Facebook, Twitter and several websites including news websites such as Kairalinewsonline, ZeeNews as an important helpline number. 4) Rescue Mission for Isolated People. 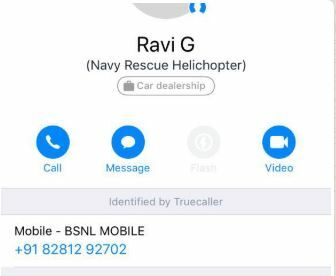 On Truecaller the number is saved as that of Ravi G (Navy Rescue Helicopter – Car Dealership) and was switched off when BOOM tried to reach him. It is not clear how this number became part of the helpline. Such unverified and fake numbers are not just giving false hopes to stranded citizens but also a waste of people’s precious time to get in touch with the relevant rescue authorities. 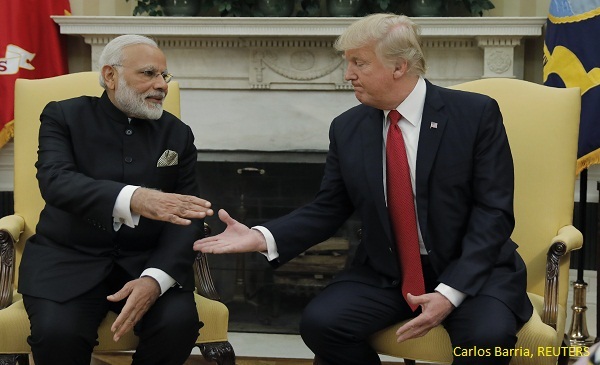 Editor’s Note : The previous cover image that we had sourced from IANS is not from Kerala. We regret the error.